Notes of Color is an exhibition exploring the materials of both the painter and the sculptor, as inspired by the unique multi-media practice of Hilda Shapiro Thorpe, Color Field painter turned sculptor, 1919 – 2000. Painter turned sculptor, Hilda Thorpe (1919 – 2000) was a fixture of the Alexandria and Washington, DC arts scene. Her studio was on the third floor of the old “Why Not” store on the corner of King and Lee Streets for over thirty years. 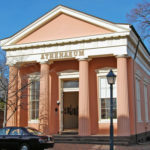 The Athenaeum, located on the same block as Thorpe’s former Old Town Alexandria studio, is a suitable exhibition space for area sculptors to explore color and materials within their artistic process, just as Thorpe did. Thorpe’s work demonstrates her lifelong interest in the visual and visceral properties of color, a trait she shared with her contemporaries such as Morris Louis, Kenneth Noland, and Anne Truitt. While the study of color remained constant throughout her artistic career, it was her bold use of conventional and unconventional materials that set her apart from other artists of her time. Not only an abstract expressionist and color field painter, Thorpe was a sculptor using a wide variety of materials such as, balsa wood, piping, sheet metal, and gauze. She later worked in textiles and handmade paper works. 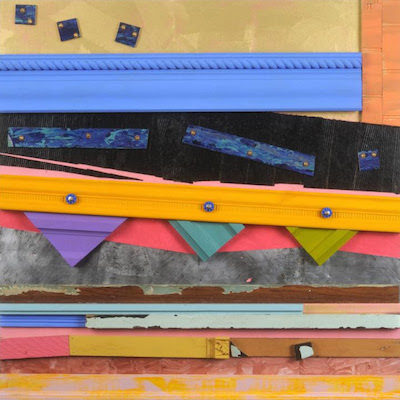 Her practice is a challenge to artists today who wish to push the boundaries of how they use materials, while retaining one of the most critical elements of artmaking: color. WSG would like to extend an invitation to its members to participate in this exhibition with sculptural work that investigates color as an integral part of the sculptural process while rethinking the ways in which they use materials. Mollie Salah has worked in the Prints and Drawings department at the National Gallery since graduating from George Washington University with a Master of Arts in Art History in 2014. While at GWU she held internships in the Prints and Drawings departments of the National Portrait Gallery and the National Gallery of Art. Mollie has also worked at the Fleming Museum of Art, Burlington, VT, Shelburne Museum, Shelburne, VT, and the Farnsworth Art Museum in Rockland, ME. An adapted version of her graduate qualifying paper on Kenneth Noland’s circle paintings and the psychoanalytic therapy of Dr. Wilhelm Reich was recently published for Refiguring American Art, a research project organized by Tate, London. She has also published essays on Thomas Downing and Mary Pinchot Meyer. Mollie’s research interests include artists who have lived and worked in Washington, DC, early twentieth century American landscape painting, and the cultural impact of the Cold War. Participating artists can upload submissions through Entrythingy (https://www.entrythingy.com/login.html). NOTES OF COLOR will be juried from digital images submitted through Entrythingy site, and there is a $5 processing fee for uploading images. No entries will be accepted by mail or email. The exhibition is open to members of the Washington Sculptors Group. Artists who are not already members may join WSG by paying annual dues of $45 ($15 for full-time students). New members may join by downloading a membership form from the web site, www.washingtonsculptors.org and making payment by mailing a check or through PayPal online. WSG members must renew their dues for 2019 to be eligible to apply to participate in this exhibition. The mailing label should read 2019 to show your membership is up to date. Artists may submit three-dimensional sculptures or mixed media installations that fit the theme. New media works are acceptable as long as they do not require an external power source. ALL work must be able to be wall hung using simple hooks. Works must weight less than 15 lbs and protrude no more than 12 inches from the wall. Each artist may submit up to five (5) works, with two images per work (maximum of ten images). Submissions MUST be anonymous—please remove any identifying labels from titles, file names, images, etc. Submissions that are not anonymous will be disqualified. 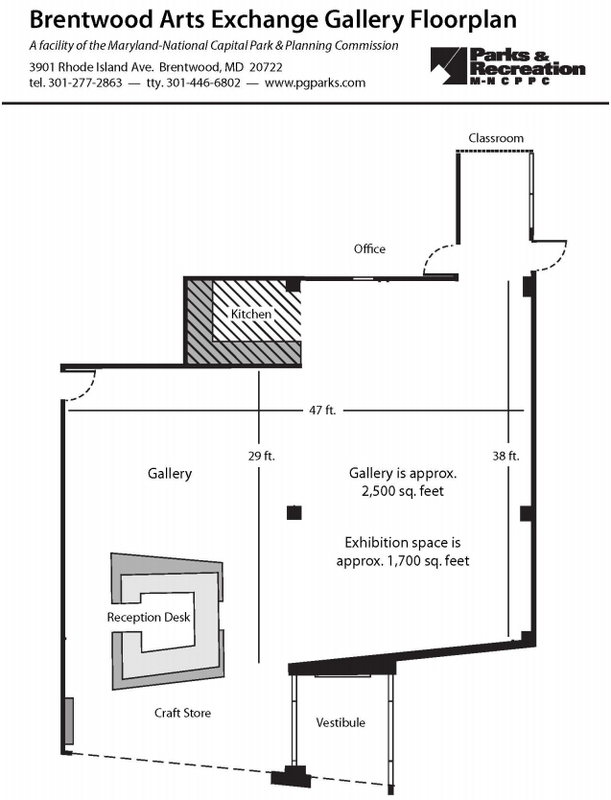 Gallery has 22-foot high ceilings, steps and standard double door to enter the gallery. All work accepted and exhibited must remain on display for the full duration of the show. Accepted work must be delivered in person on Sunday, June 2, 2019 from 4-6pm or Monday, June 3, 2019 from 10am-2pm at the Athenaeum (201 Prince Street, Alexandria, VA 22314). Work must be picked up in person at the same address on Sunday, July 21, 2019 from 4-6pm. 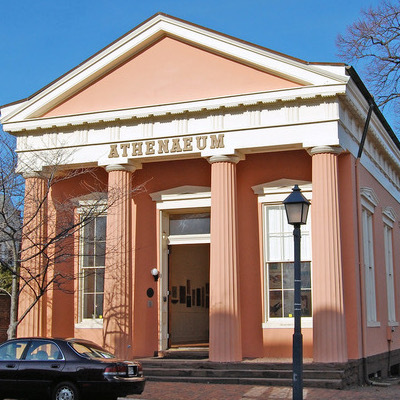 The Athenaeum can neither receive nor return entries by mail. Artists are solely responsible for delivery of their accepted work on the installation date, and de-installation of their work on the pick-up date as specified above. Staff will be solely responsible for installations. The gallery cannot receive shipments of artwork and is unable to store work not picked up by the pickup date. The Athenaeum will insure the pieces for the duration of the show but work in transit and work left at the Athenaeum after the closing date is the responsibility of the artist. A 40% commission will be taken on sales by the Athenaeum. Interested buyers will be directed to the artist or agent. Exhibition directors can be contacted for dropping off and picking up work. The Washington Sculptors Group is a volunteer, non-profit organization dedicated to promoting awareness of sculpture and fostering exchanges among sculptors, sculpture enthusiasts and the public. 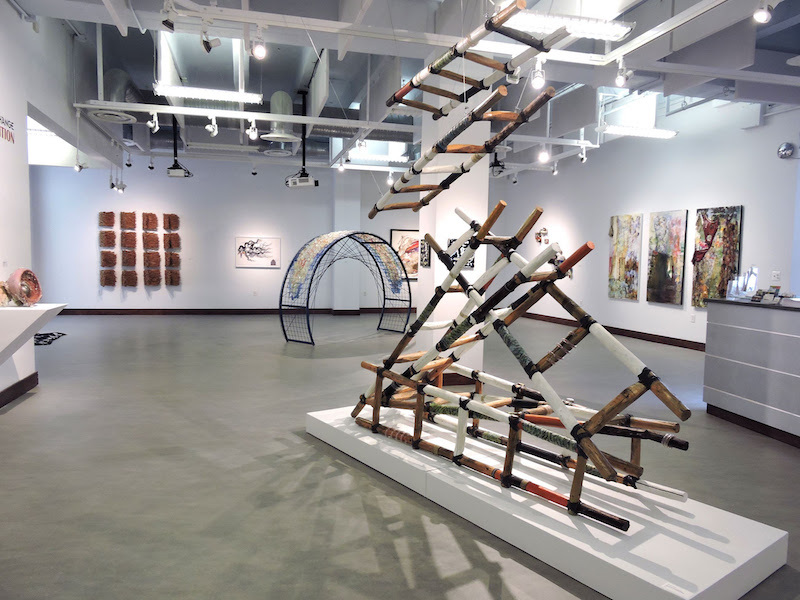 Organized in 1984, membership has grown to almost 400; WSG sponsors frequent public programs and organizes professional sculpture exhibitions juried by prominent curators. Visit www.washingtonsculptors.org to join WSG, to view the Web Gallery of members’ work, and to subscribe to the WSG newsletter. The Northern Virginia Fine Arts Association is dedicated to the pursuit of excellence in all forms of art, and to establishing programs that will enrich the cultural life of Northern Virginia and the surrounding metropolitan area. As the primary site for these activities, the NVFAA own, and maintains the historic building called the Athenaeum. For additional information on the organization, please visit www.nvfaa.org. WSG members may submit up to five (5) jpeg images or one (1) video of their work for the Annual Members Image Show. Please carefully review the instructions below for preparing media. If you need assistance, please contact a team member at the email listed below. New members are encouraged to take advantage of this opportunity to show their work, and for all members to show current work and receive feedback from the audience. DC area gallerists, curators, collectors, and art representatives will be invited to attend. During intermission, refreshments will be provided, and WSG members are welcome to bring light fare to share. Presentations are limited to 5 minutes and members must be in attendance during their presentation. You may speak during your presentation or let your images/video speak for you. Please include: title, dimensions, medium, and year for each image, as well as artist’s name and website. All images and videos will be arranged in a single PowerPoint presentation and will include a title page and notice of copyright protection for each artist. Audience members can talk with artists during intermission or at the show. 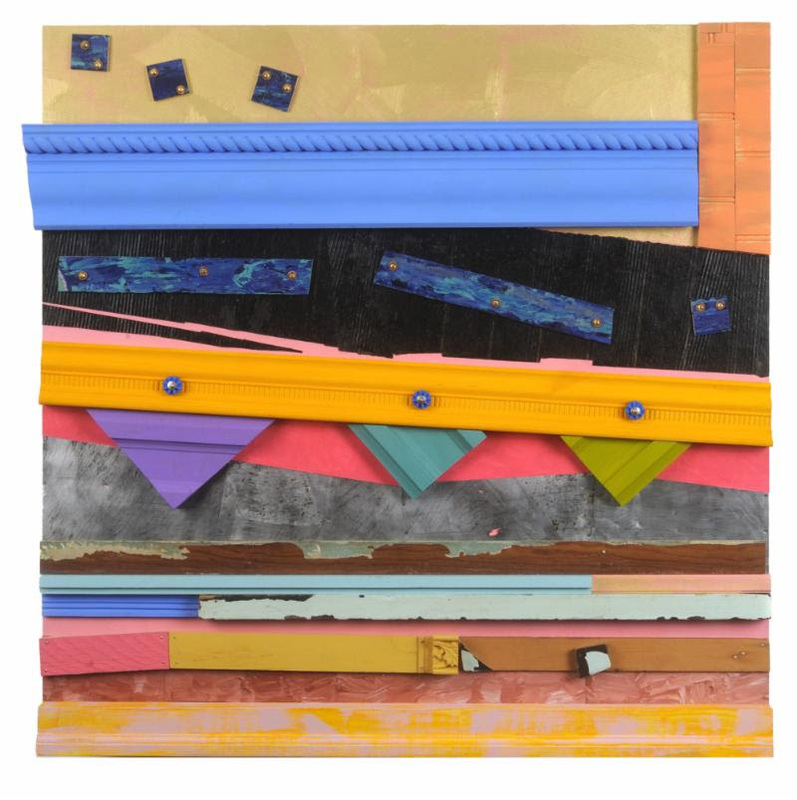 Brentwood Arts Exchange is collaborating with the Washington Sculptors Group members for an exhibition titled Sculpture Now 2019. Begun in 1987, the Sculpture Now series provides an annual snapshot of up-to-the-moment works by artists in the mid-Atlantic region and beyond. The series also includes the Tom Rooney Award of $500. Sculpture today is a rapidly evolving genre that reflects the volatile changes in global conditions. Whether conceptual, political, cultural, environmental or personal in context, the biography of the artist continues to be central to the artwork. In this spirit, Sculpture Now 2019 does not have a particular theme. It is an open and inclusive platform that invites artists to put forward their latest ideas on conceptual theory and best practices regarding materials used in sculpture. The exhibition is designed to give WSG artists free rein, to propose work to the juror, or to show work produced within the last two years. The exhibition will be installed at the Brentwood Arts Exchange main gallery in Brentwood, MD. This exhibition will take place separately, but in conjunction with the Tom Rooney Remembered Invitational exhibition at the Salve Regina Gallery and the Mullen Library on the campus of the Catholic University of America. Works by Tom Rooney and past Tom Rooney Prize winners from 2007-2019 also will be shown at CUA. Both shows – Brentwood Sculpture Now 2019 and the Tom Rooney Remembered Invitational – will honor the late Tom Rooney (1924- 2018), sculptor, educator, and WSG volunteer. During the Brentwood exhibition, the juror, Spencer Dormitzer, will award the 2019 Tom Rooney prize, and the chosen artist will show works in both the Brentwood and Salve Regina exhibition spaces. Applicants must be current or new members of the Washington Sculptors Group to submit. To become a WSG member, download a membership form from the WSG website at www.washingtonsculptors.org, and join online with your submission to the exhibition. WSG members must have paid their dues for 2019 by the entry deadline to be eligible for this exhibition. The address label on the most recent copy of the WSG newsletter, The Washington Sculptor, will show your membership status (example: MEMBER THROUGH 2019). The exhibition will be located in the Brentwood Arts Exchange main gallery. Please note the floor plan below. Three-dimensional freestanding and wall-hung sculpture, installations, and video/film-based work are welcome, though there is limited access to electrical outlets. Brentwood Arts Exchange does have selected A/V equipment. Please inquire if selected. Individual artists as well as collaborative groups are permitted, though no individual should be included in more than one submission. Artists are solely responsible for delivery of their accepted work on the delivery dates provided, and removal on the pick-up date. The trained staff at Brentwood Arts Exchange will install all exhibiting artwork unless there is a specific reason for artist assistance. All work accepted must remain on display for the full duration of the show. WSG and Brentwood Arts Exchange will not receive shipments of artwork. A loading dock is not available. Work must fit through an entryway measuring 120”H x 84”L x 80”W. 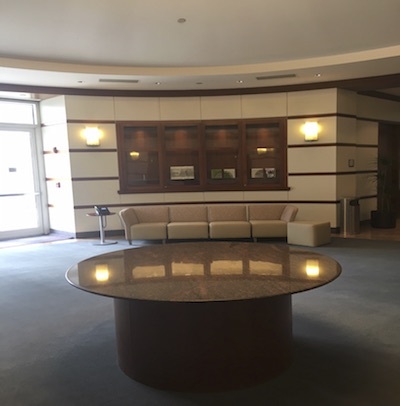 Some pedestals are available on a first-come, first-served basis. If the gallery does not have a pedestal to meet the needs of a selected work, it will be the artist’s responsibility to supply the pedestal. Arrangements for installation should be made in advance. Brentwood Arts Exchange staff will contact selected artists to establish details. If your work is site or situation specific, please make it clear in your submission. We highly recommend that artists research the site and its history, and visit the gallery. The gallery is open to the public Tuesday – Saturday, 11am to 5pm. Administrative appointments are also available on Mondays. proposing, or offer examples of past work that might be related to the project being considered. Submitting fewer images will not take away from your entry. 1. Description of the physical aspects of the project (site, materials, positioning, etc. (not an interpretation of the work). 2. If you are proposing a new piece that is not represented in your images, please include one or more illustrations of the work in situ that will give the juror a clear idea of the project being proposed, what it will look like, and how it will be constructed and installed. -to avoid disqualification, do not include your name in either the statement or any of the description paragraphs on Entrythingy. Please note: the project description can be a word document with text and images saved as a .pdf file. You can then upload the .pdf file as one of your 5 images on Entrythingy. Acceptable files include .jpg, .pdf, .doc, .mov. Video artists must upload one or two videos according to the specifications listed on ENTRYTHINGY. Submit all images with a resolution of 300 dpi and a maximum of 2MB each. Video files are limited to at most 50MB each (about five minutes). Applicants should go to ENTRYTHINGY and click on “For Artists” at top. Click on “list of current calls”. Scroll down and click on the “Sculpture Now 2019” listing. Create a login account if you don’t have one, or if you do, login with the “Click here to login” button. After logging in, select the “Sculpture Now 2019” call and complete the entry steps. There is no entry fee for Sculpture NOW 2019. No mail or email entries will be accepted. All applicants will receive ‘accepted’ or ‘not accepted’ notifications. Maryland-National Capital Park and Planning Commission will insure indoor artwork on-site during the dates of the exhibition. Transportation insurance is the responsibility of the artist. The Gallery will retain a 25% sales commission on work sold during the exhibition. A price list will be available at the front desk, and Brentwood Arts Exchange will handle the sales/invoicing and payment to artists. If artwork is sold, Brentwood Arts Exchange will send a check to the artist within 30 days of the exhibition closing date. All selected artists must register as a vendor with M-NCPPC prior to the exhibition to receive proceeds from sales. Brentwood Arts Exchange staff will assist with this process. Washington Sculptors Group does not receive a commission on sales of artwork. Brentwood Arts Exchange is a proud part of the Maryland – National Capital Park and Planning Commission, and serves as an anchor for the arts-based community development of the Prince George’s County Gateway Arts District. We support artist and community development by welcoming diverse audiences to experience high quality visual art exhibitions, concerts, and affordable art classes for all ages, and a local artisans craft store. The Washington Sculptors Group (WSG) is a volunteer, non-profit organization dedicated to promoting awareness of sculpture and fostering exchanges among sculptors, sculpture enthusiasts and the public. Organized in 1984, membership has grown to almost 400; WSG sponsors frequent public programs and organizes professional sculpture exhibitions juried by prominent curators. Visit http://www.washingtonsculptors.org to join WSG, to view the Web Gallery of members’ work, and to subscribe to the WSG newsletter. WSG P.O. Box 42534, Washington, DC 20015, 202-686-8696, gro.s1555988393rotpl1555988393ucsno1555988393tgnih1555988393saw@o1555988393fni1555988393. Curator Sarah Tanguy worked at the Hirshhorn Museum and Sculpture Garden, the National Gallery of Art, the International Exhibitions Foundation, The Tremaine Collection, the International Sculpture Center, as well as the Smithsonian Institution Traveling Exhibition Service and the Hechinger Collection. In 2004, she became a curator at the office of Art in Embassies, U.S. Department of State, while continuing to pursue freelance projects. Tanguy has produced many exhibitions in the local DC area and written for Sculpture, and American Craft among other publications. 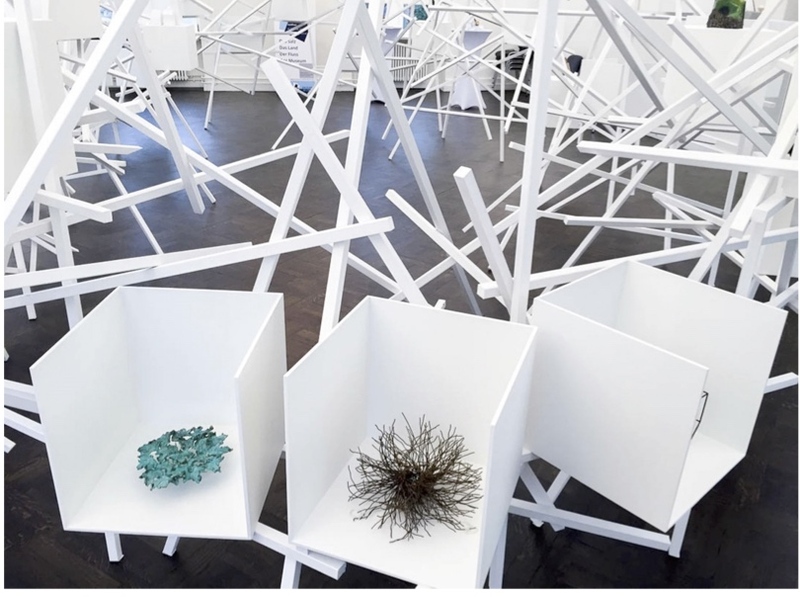 Tanguy has curated an exhibition series for the American Center for Physics, which put her in touch with the latest in theoretical physics and led her to discover artists who explore the intersection between art and science. Applicants should go to ENTRYTHINGY and click on “For Artists” at top. Click on “list of current calls“. Scroll down and click on the “Sculpture Now 2018: ShadowLands” listing. There is a $5 entry fee charged by entrythingy. Entrythingy will give artists the opportunity to submit a total of 9 images and one proposal or documentation of the sculptures and drawings submitted. Artists should submit drawings, which relate to their sculptures. 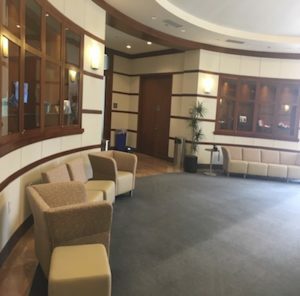 Please note the size of the Rotunda, Conference Rooms and Cabinet spaces in the Call For Entry. 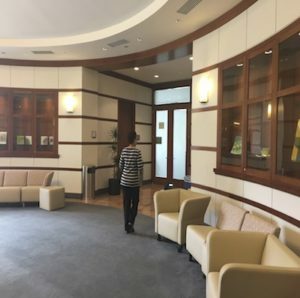 Since the fall of 1997, the American Center for Physics (ACP) has hosted two exhibitions a year on the ground floor of its headquarters located on 24-acre wooded site in College Park, Maryland. From Dark Matter to Chaos Theory, the program mines the intersection of art and current trends in science/mathematics around broad themes. Each exhibition lasts approximately five and a half months. An illustrated brochure with an essay by consulting curator Sarah Tanguy documents each exhibition, which features sculpture, painting, photographs, and works on paper. Art and Physics have always been “great attractors” to adapt a term that describes a gravitational anomaly in intergalactic space. Art interprets the visible world. Science, in particular Physics, charts its invisible workings. The two visions may appear opposed but the committed passion, the insatiable curiosity, and the ongoing risk-taking make artists and scientists kindred spirits who use different languages, the language of mathematics on one hand and on the other, the language of visual images. Most importantly, their fundamental quest is the same—to understand why things are the way they are. 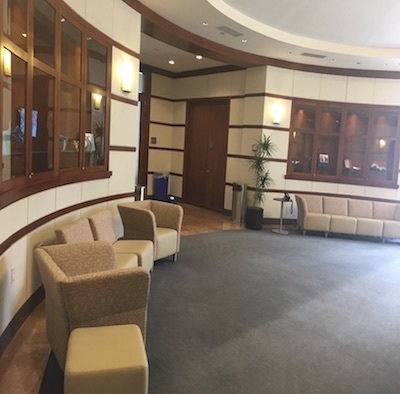 The ACP exhibition calls for sculptors working in a series, and encourages work on paper that would describe or illustrate the sculptural forms, which will be on display in a large rotunda area, three conference rooms and two passageways. The exhibition would accommodate multiple works (2D and 3D) by the same artist. The exhibition is open to current members of the Washington Sculptors Group only. Artists may join WSG by paying annual dues of $45 ($15 for full-time students). Prospective members may download a membership form from the WSG website, www.washingtonsculptors.org and send in a check, or may join online. WSG members must have paid their dues for 2018 to be eligible for this exhibition. The address label on this Call or the most recent copy of the WSG newsletter, Washington Sculptor, will show the year 2018 if your membership is up to date. Notices for 2018 dues were mailed in November 2017. In this exhibition artists are asked to explore the interrelation of art and science through the notion of gravity, including but limited to the effects of light and mass in the way that sculpture responds to gravity, interacts with space, and sometimes, moves through time. Artist’s visions have often anticipated or inspired the breakthroughs of physicists throughout history. Let’s continue the dialogue. Artists are encouraged to also submit 2D drawings and photographs, describing, inspiring or accompanying their sculptures. Three-dimensional freestanding and wall-hung sculpture in relief, as well as smaller works for the wall vitrine installations are encouraged. Please see the dimensions of this below. Please do not submit video/film-based work there is a limited capacity for work that requires access to electric outlets. Basic technical support will be provided by the American Center for Physics. Typically, the exhibitions include large and medium-scale, flat work or relief work and small-scale three-dimensional or relief work. 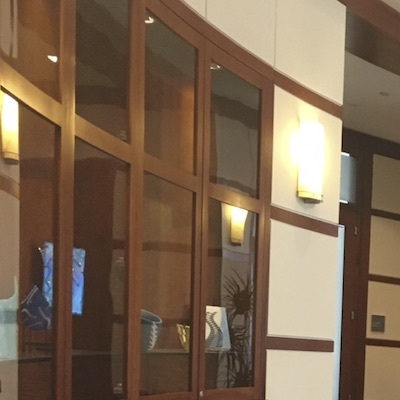 The six niches in the conference rooms measure 89 (h)” x 140 (w)” and are usually earmarked for paintings. The six niches along the East-West Corridor measure 72 (h)” x 177 (w)” and are dedicated to photographs. The glassed-in vitrines in the Rotunda feature a minimum of 16 sculptures. These sculptures cannot exceed 9-1/2” in depth but can be wider and taller. Details below. The work may be submitted in finished form or as a proposal. We highly recommend that artists research the ACP site, and visit if they wish to submit installations, site-specific work, or a proposal. The exhibition will be located in the rotunda and conference wall spaces as well as a passage space that are tangent to the building. Artists are encouraged to submit multiple works or a series of sculptures, drawings and photographs. Artworks will be listed, and sale and inquiries directed to the artists. The ACP nor Consulting Curator will take a commission. ACP will insure work while on site but NOT during transportation to or from the venue. On-site insurance value will be computed as 60% of retail price, but does not guarantee that the insurer will agree with the value assigned by the artist. Artists selected must sign a loan agreement provided by the Washington ACP. The Washington Sculptors Group will serve as the sole representative of the art in the show and sign an agreement with the ACP. Therefore, WSG will negotiate terms on behalf of the artists as outlined in the individual agreement between WSG and the Artist. Artists may submit up to 10 slides. For existing work, please be clear about the images which represent the work you would like to have included in the show, vs work that you are showing as part of your portfolio of past work. Those making proposals for new work must provide images of design drawings which clearly show the piece/pieces you would like to make, as well as how it will be constructed. Additional portfolio slides should display the artist’s ability to make what they are proposing, or offer examples of past work that might be related to the project being considered. Acceptable files include jpg, pdf, doc. but entrythingy responds best to jpg uploads. Written proposals should be turned into jpg files and uploaded. Submit all images with a resolution of 300 dpi and a maximum of 2MB each. All images, and accompanying info will be presented anonymously to the juror for review. No mail or email entries will be accepted. All applicants will receive accepted or not accepted notifications. To enter, use www.entrythingy.com (instructions below). The Washington Sculptors Group (WSG) is a volunteer, non-profit organization dedicated to promoting awareness of sculpture and fostering exchanges among sculptors, sculpture enthusiasts, and the public. 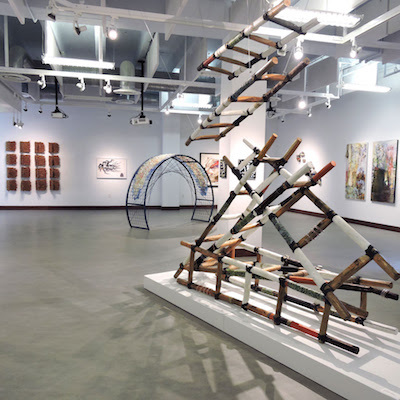 Organized in 1984, membership has grown to almost 400; WSG sponsors frequent public programs, and organizes professional sculpture exhibitions juried by prominent curators. Visit www.washingtonsculptors.org to join WSG, to view the Web Gallery of members’ work, and to subscribe to the WSG newsletter. This call for entries is open to current members of the Washington Sculptors Group only. Artists may join WSG by paying annual dues of $45 ($15 for full-time students). Prospective members may download a membership form from the WSG website, www.washingtonsculptors.org, and send in a check, or may join online with your submission to the exhibition. WSG members must have paid their dues for 2018 by the entry deadline to be eligible for this exhibition. Check the address label on this Call or the most recent copy of the WSG newsletter, The Washington Sculptor, will show your membership status (example: MEMBER THROUGH 2018). Notices for 2018 dues were mailed Dec. 2017. MICRO-MONUMENTS II: UNDERGROUND aims to generate a new dialogue that resonates with sacred places, sanctuaries, native lands, excavation sites, and extraordinary scientific findings. The inaugural MICRO-MONUMENTS exhibition took place in 2015 at the Landesmuseum in Schönebeck, Germany, as a collaboration with the Washington Sculptors Group, in a cross-cultural, trans-Atlantic project. Building on the themes and success of this exhibition, MICRO- MONUMENTS II: UNDERGROUND will include the overall context of prehistoric, historic, and contemporary monuments across cultures. How does a diverse cultural artistic exchange generate questions about how we as human beings have an impact on the land we occupy, extort, and exploit? How can we learn from deep time and history to understand ourselves in a larger context, and what do we learn from the past that has not yet been practiced? How do we as a society address situations of protracted political instability, and situations that then arise out of long-smoldering unresolved conflicts? The intention of MICRO-MONUMENTS II: UNDERGROUND is to reveal a deeper understanding of people’s lives in history, and to allow contemporary artists to interpret topics of the cosmos and nature in order to reimagine monuments in our current culture. Since the beginning, Dr. Gunnar Schellenberger, State Secretary for Culture in the State Chancellery and Ministry of Culture of the State of Saxony-Anhalt, has supported MICRO-MONUMENTS. He continues to be instrumental in making this collaboration happen between IA&A at Hillyer and the Washington Sculptors Group. Artemis Herber, former WSG President and curator for the previous MICRO-MONUMENTS exhibitions, will return and serve as the Coordinating Curator to create a new exhibition that combines the work of WSG artists with curated work by German artists. One of Germany’s most spectacular historic finds, the “Nebra Disc,” an object of 32 cm [12.6 inches] in diameter has become one of the most important, yet mysterious, reliquaries. It displays the world’s oldest known concrete depiction of astronomical phenomena. In tribute to the “Nebra Disc,” submitted work should be created no larger than 32 cm [12.6 inches] in any direction. The overall exhibition design consists of multiple free-standing pedestals. Each pedestal will be 40 cm (15.75 inches) square. These pedestals will be arranged in a manner that will represent underground formations, which will allow diverse and various perspectives and varying viewpoints from around Hillyer’s gallery space. Artwork must be installed on the pedestals provided without kinetic or light-related components. An aerial orientation will be used to install MICRO-MONUMENTS II: UNDERGROUND, bringing the viewer’s perspective of the work on pedestals down to ground level. Artwork will be installed on pedestals of varying height, from 12 inches up to 16 inches. The pedestals will also be fitted with wheels so that they can be moved into different configurations. The juror will select 15 WSG member works for this exhibition. A maximum of 4 images of existing work or 4 images of proposed work (drawings) per artist will be considered. A statement (not to exceed 250 words) should be included as a .pdf file. the description paragraphs on Entrythingy. Entrythingy will allow four (4) entries for images, plus a 5th entry for the .pdf file. All work must not exceed the dimensions of 12.6 inches in any direction. Maximum sculpture dimensions should be 12.6” h x 12.6” w x 12.6” d.
Submitting fewer than 4 images will not negatively affect your entry. Works with kinetic or light-relationed components are not permitted. Acceptable files include .jpeg, .pdf, and .doc. Submit all images with a minimum resolution of 300 dpi at 5” x 7” and a maximum file size of 2MB each. Applicants should go to ENTRYTHINGY and click on “For Artists” at the top of the browser window. Click on “List of current calls.” Scroll down and click on the MICRO-MONUMENTS II: UNDERGROUND listing. Create a login account if you do not have one, or login with the “Click here to login” button. After logging in, select the MICRO-MONUMENTS II: UNDERGROUND call and complete the entry steps. There is a $5 entry fee. No mail or email entries will be accepted. All applicants will receive “accepted “or “not accepted” notification. IA&A at Hillyer will insure the works for the duration of the exhibition period starting with the time the artwork is dropped off and signed over to the gallery. Said insurance will cover all losses normally covered by fine art insurance, but will not cover losses that are uninsurable through standard fine arts insurance policies. The proceeds of any insurance claim in respect of the work will be paid to the artist without deduction. Insurance during transportation is the responsibility of the artist. The gallery does not handle sales and does not take a commission. If anyone is interested in purchasing artwork, the gallery will put said person in direct contact with the artist. CFE open call selected artists are asked to attend the opening reception. WSG is accepting proposals from established and emerging sculptors for its third consecutive annual exhibition of outdoor sculptures at Sandy Spring Museum’s Sculpture Park. 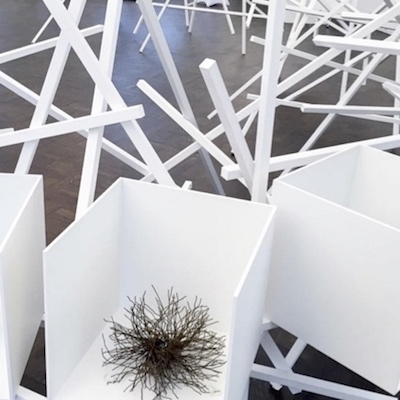 The exhibition is from June 21 to October 6, 2018, with installation the week prior to June 21, and de-installation the week following October 6. Sandy Spring Museum is located on 7+ acres of land, 3 acres of which are heavily forested. The remainder is naturally landscaped with mature trees. Sculptures can be installed throughout the property, including upon two 12’x 12’ concrete pads. Artists can also use a wooden trellis that blooms with wisteria in the spring, and extends the entire length of the property. INTROSPECTIVE wishes to explore through sculpture our conscious thoughts, feelings, psychological processes, or other human acts of self-reflection as they relate to the landscape. Existing and site-specific proposed sculptures may be submitted for consideration. Innovative and interactive outdoor works that create a dialogue between art and nature, site-specific, time-based, or ephemeral work that engages visitors, or creates experiences with nature through the arts, are encouraged. Please note: A guided tour of the sites will be offered to interested artists on Sunday, March 18, 2018 starting at 2 pm at Sandy Spring Museum. Please contact Diane Szczepaniak (moc.l1555988393oa@zc1555988393zscd1555988393) or Mimi Frank (moc.l1555988393iamg@1555988393119kn1555988393arfm1555988393) for details. Works should be suitable for long-term, outdoor exposure, as well as fabricated and installed in a viewer-safe manner. Artists are responsible for any maintenance of the work. 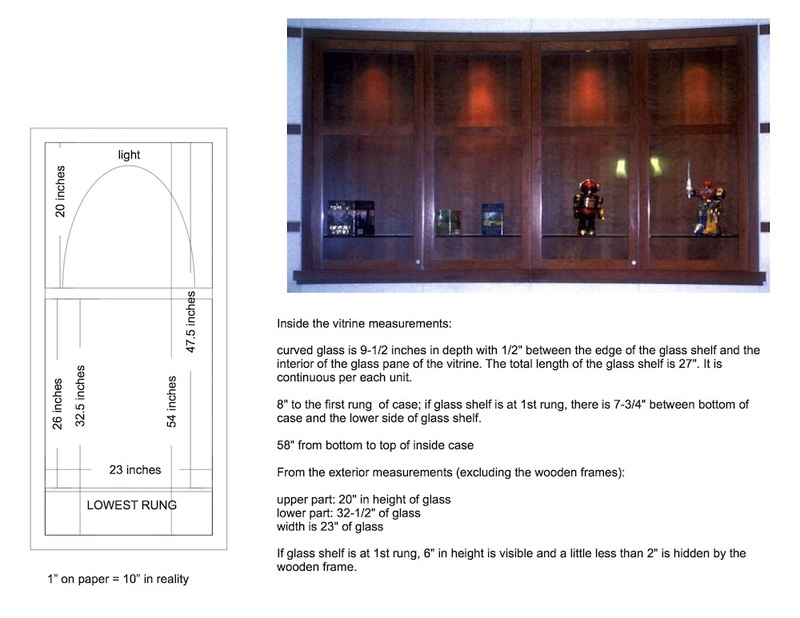 Artists should detail their installation requirements when submitting the application. All sites are on grassy areas although there are two concrete covered areas 10’ X 10’ that are situated next to each other. Self-guiding maps of the exhibition will be available at Sandy Spring Museum and on the websites of WSG and SSM. Exhibition cards will be distributed to WSG, SSM members, and the community. Promotion of the show will be actively pursued. The exhibition is open to current members of the Washington Sculptors Group only. Artists may join WSG by paying annual dues of $45 ($15 for full-time students). Prospective members may download a membership form from the WSG website, www.washingtonsculptors.org, and send in a check, or may join online with your submission to the exhibition. Cecilia Wichmann is assistant curator of contemporary art at the Baltimore Museum of Art. From 2015 to 2017, she led the University of Maryland’s Stamp Gallery, an experimental exhibition space for contemporary art, and served as curator and advisor of its innovative Contemporary Art Purchasing Program. Cecilia earned an MA in Art History at the University of Maryland, College Park in 2015, and a Hon. BA at the University of Toronto in 2007. She will select up to 20 sculptures. A maximum of 2 sculptures/installations per artist or team may be submitted for consideration. You may include up to 3 images per sculpture for a total of 6 images. Artists may choose to install their work with public participation and involvement during the installation period, or if required, over the life of the artwork. Artists will submit a proposal in .doc or .pdf format. The proposal should include the project description, concept sketches or renderings, and any other information pertaining to the proposed project. In addition, artists will provide up to 5 images of existing work in .jpg format titled “portfolio001”– ‘portfolio005”.jpg.” Submit all images with a resolution of 300 dpi and a maximum of 2MB each. It is recommended that artists visit Sandy Spring Museum to get a sense of the surroundings and possibilities prior to submitting an application. Artists can visit the site seven days a week, at any time. If you wish to meet with museum staff, please call Allison Weiss ahead of time at gro.m1555988393uesum1555988393gnirp1555988393sydna1555988393s@ssi1555988393ewa1555988393. Applicants should go to ENTRYTHINGY and click on “For Artists” at the top of the browser window. Click on “List of current calls.” Scroll down and click on the “ART IN NATURE” listing. Create a login account if you don’t have one, or login with the “Click here to login” button. After logging in, select the “ART IN NATURE” call and complete the entry steps. There is a $5 entry fee. No mail or email entries will be accepted. All applicants will receive “accepted “or “not accepted” notification. SSM will insure the work up to $10,000 after the work is delivered and the exhibition loan agreement is signed. Insurance during transportation is the responsibility of the artist. All purchases during the exhibit will go through the museum. The museum charges a 30% commission fee. 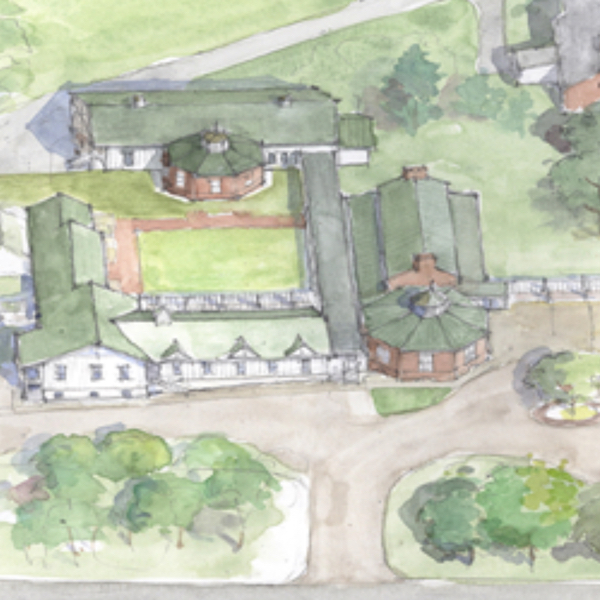 Suggested SSM site visit: Sunday, March 18 at 2 p.m. Opening Reception: Thursday, June 21, 2018 from 6 to 8p.m. CFE open call selected artists are asked to attend the opening reception. The reception is open to the public to engage visitors with hands-on activities. SSM reserves the right to make photo documentation for promotional and archival purposes, both print and electronic.